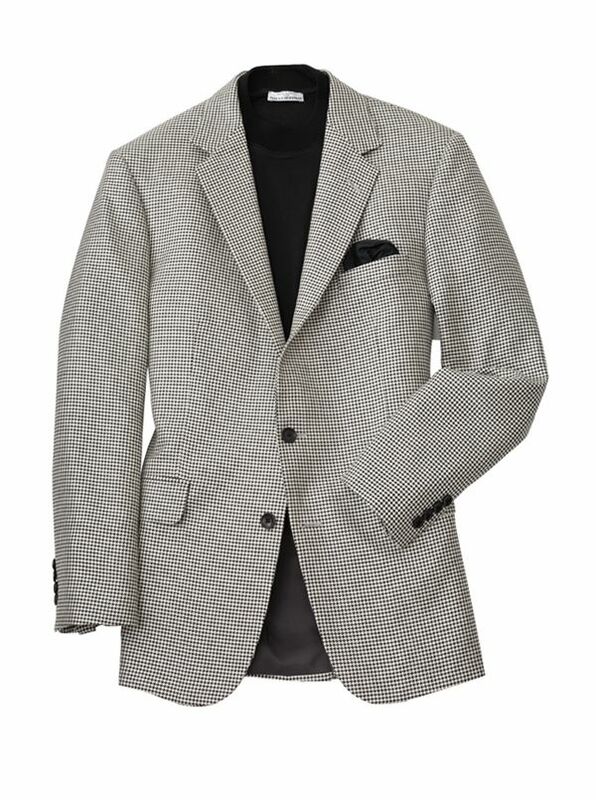 Jackson Houndstooth Check Sport Jacket is always smart, always right. Tailored in Canada on our classic fitting, soft shoulder 2 button model, with full lining, center vent. 55% silk/45% lightweight wool.